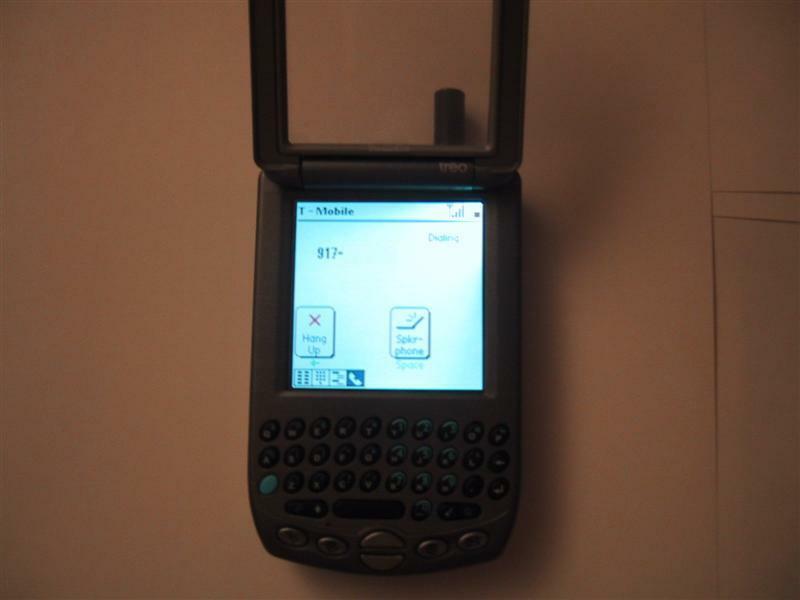 Using the phone is a little different form a standard cell phone; the phone could either be dialed using one of the quick dial buttons, the onscreen dial pad or the keyboard assigned buttons. After the number is dialed you are greeted with the option to hang up or switch on the speakerphone and upon connecting there is a mute button that is added. The speaker phone was not only surprisingly loud but clear also, however, it is not loud enough to stand above the noise of a 49db fan (the one on my case), to hear clearly with the regular speaker in the flip lid one must place their ear directly over the speaker, a minor nuisance but nothing worth crying over. 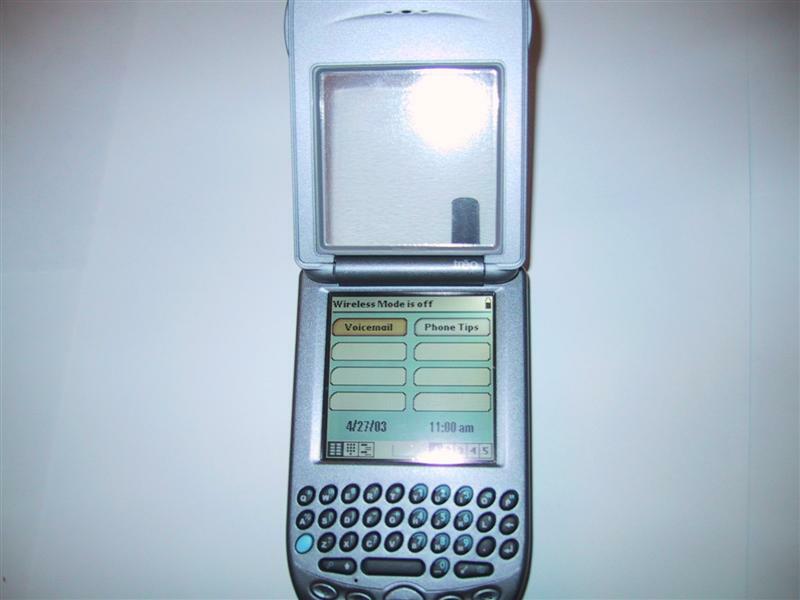 If the Treo is laid to rest for an extended period, it switches off the wireless mode to conserve on power, and all it takes to reactivate it is a push of the power button. This may become annoying for some as it requires approximately 20 seconds to synchronize with the service provider before making a call, you could however disable that function. 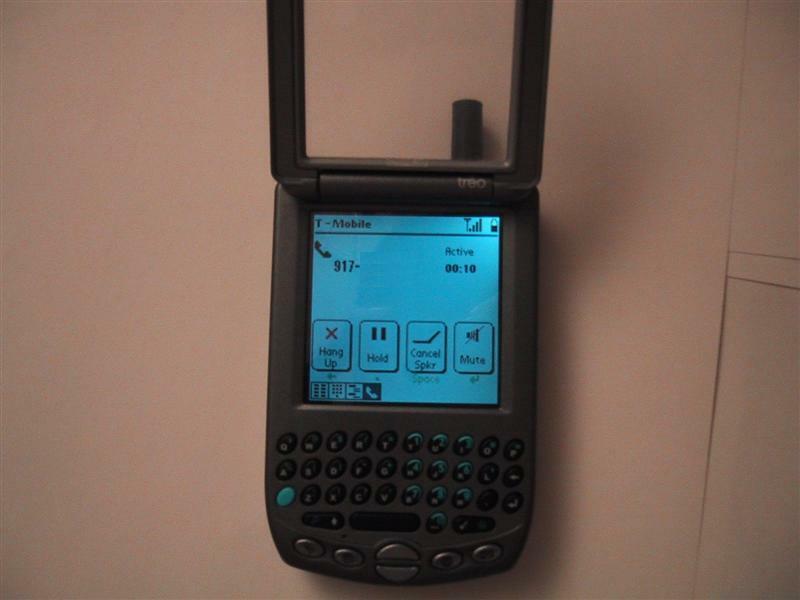 In NY, T-Mobile doesn�t have a reputation for great phone service, but in all of the worst areas with my ATT cell phone I was still able to make and receive calls on the Treo. There is no available upgrade option so you are stuck with 16 Megs of onboard ram. This is my biggest gripe with the unit. I hate having something this useful and can�t upgrade up to add a few hundred megs of mp3�s etc. Hopefully in the next iteration Handspring will address this and also add the ability to record audio as a standard since the unit already has a microphone and speaker.